Manuel Antonio tours revolve around the diversity of nature, sending you to thrilling heights or into memorable mediation in search of the spectacular, unique, and incredible sights in Costa Rica. Ride the warm Pacific waves just off the coastline of Manuel Antonio. 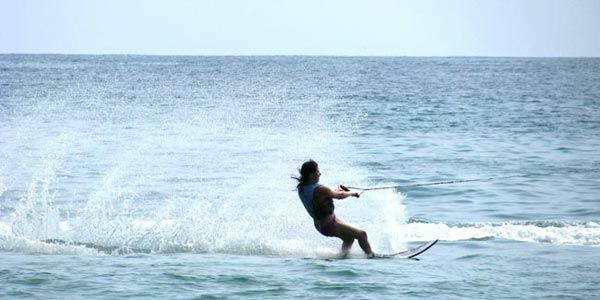 Choose between water skiing or wakeboarding, or do both! 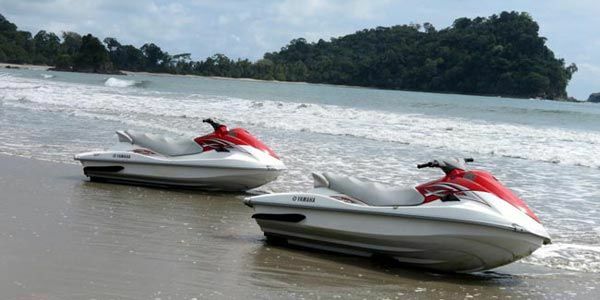 Zip through the Pacific Ocean alone or with a friend, on one of the well-maintained jet skis! For all you adrenaline junkies looking for an extreme adventure,white water rafting in Manuel Antonio will not disappoint! Manuel Antonio is blessed with stunning beaches and tropical forests. What better way to explore it than by hopping on all-terrain vehicle? It’s no surprise that Manuel Antonio’s picture-perfect setting—lush rainforest that drapes over fine sands that spill into sapphire sea – is also the perfect destination for unforgettable activities. The crown jewel of Manuel Antonio is the eponymous national park, which sits at the end of the town’s single road. Guided hikes through Manuel Antonio National Park lead you down verdant rainforest trails, where you’ll encounter mischievous white-faced monkeys and endangered squirrel monkeys, slow-moving sloths and scuttling iguanas. Numerous powdery beaches line the coast, offering shady respite from endless afternoons of swimming in calm waters. For the adventurous, canopy tours, snorkeling excursions, whitewater rafting, and sea kayaking introduce you to the adrenaline-laced side of nature: fly through the trees or dive into the ocean’s depths; explore uninhabited islands and kayak through rich mangrove forests. Tackle the churning rapids of a class III-IV river, where lizards and turtles line the grassy banks. Book a sportfishing tour for inshore and deep-sea fishing, and reel in a dinner of yellowfin tuna, wahoo, or mahi-mahi. In the early mornings, be the earliest bird and head into Manuel Antonio’s wilds before even the purple-crowned fairies, turquoise-browed motmots, magnificent frigate birds, and fiery-billed aracaris awaken. And in the evenings, wind down with a catamaran tour—an afternoon of snorkeling followed by wine and hors d’oeuvres aboard at sunset. Download PDF with a complete list of tours available in the Manuel Antonio area.